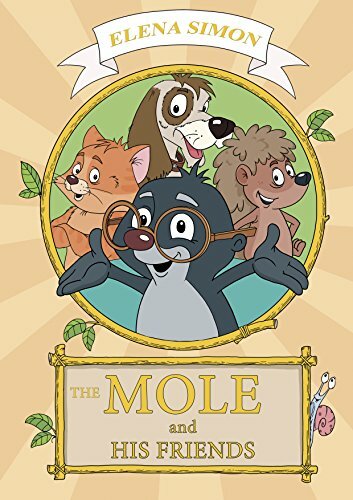 Welcome to a beautiful story by author Elena Simon “The Mole and His Friends”! If you love to read along with your child and explore exciting new places and people, then you’re going to love this! Read along together as Nut the Mole takes tradition and throws it to the wind! No longer willing to dig the earth like his parents, Nut is looking to take digging to the next level. Nut knows what he wants, a great, big, shiny spade! There’s only one problem; Nut doesn’t know how to use it?! Read the story together with your children as Nut journeys around his town seeking the help which he needs to learn the art of moving soil with his new spade. Nut has a fantastic time meeting all of his friends around town, learning how they dig through the soil, but ultimately he learns an important fact, everyone is different! If you would like to read more about Nut and his exciting journey, then open the pages for yourself right now!